I took Poppy dog out for a gentle 5k. She is a great running companion and she chased squirrels and rabbits and birds. She jumped and splashed and drank in countless muddy puddles. Seeing her happy helps make me feel happy. When I returned home with Poppy it was time to take Little M out. 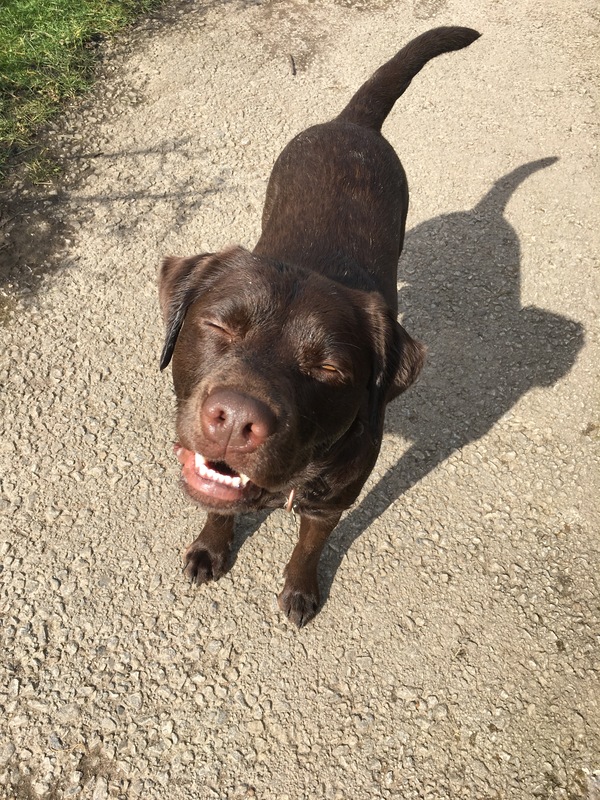 She had made it very clear that she wanted to run with me today. Now, don’t be fooled, this isn’t because she loves running. No. It’s because she loves shopping – shoe shopping specifically! Earlier she had fallen in love with a pair of rainbow coloured Skechers. 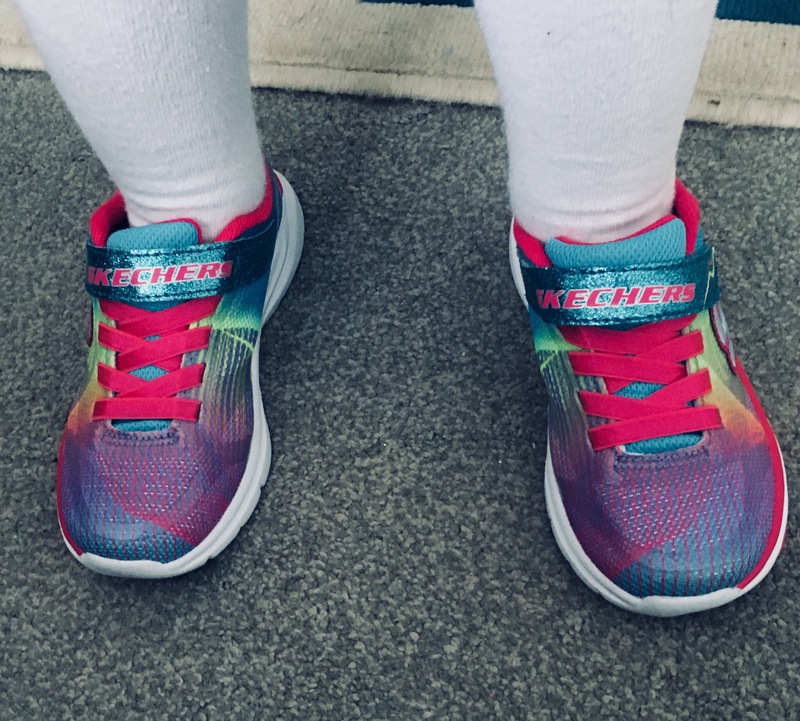 They were trainers so I had told her that she didn’t need running trainers when she doesn’t run (she has casual trainers – also crazy sparkly light up skechers affairs). I had suggested that perhaps, if she ran, she could have these colourful beauties. Well, my daughter is nothing if not determined and resolute (which I love about her) so here we were going for a run. She wanted to make sure her clothing choices were appropriate. She’s four by the way. Yes, four! Cool, cool. Whatever makes her happy! She made sure she was fully prepped for my returning with the dog so that it would then be her turn to run with mum. It was quiet outside as it was 530pm and thoroughly miserable weather wise. We were quite the sight. I said that I’d follow her lead. She was in charge which is basically the same as every day to be honest! So we ran and then we walked and then ran a bit more. She leapt over puddles. Then she started making up all these rules and challenges. I was awarded an imaginary gold medal (even although I didn’t do it right apparently. Well I disagree but anyway I got my medal). I also earned myself an army of faithful Easter bunnies who would follow my every command (also imaginary, to be clear). Niiiiiice. Race organisers take note: bunny armies – this is what the people want! Ok, back to reality, I will say this: if my daughter could run as fast as she talks then she would be an Olympian now, like not even in the future, now. We’d put in a good little stint and M decided to head home in case we missed dinner proclaiming a potential “Disaster!” if we missed it. Good call chick. Truthfully I was glad to get home as I was now freezing but I wanted to capture and savour those glorious and special little moments that we’d had. I have a plan for her to earn her shoes now. She refuses to do junior parkrun (lack of confidence) so I’d like us to go and do the course, just us, and then she can have her new pretty damn amazing rainbow trainers. Actually nice point to mention that the boy was dragged to parkrun against his protests yesterday, ran a new PB and was absolutely bloody delighted with himself. All worth it. Thank you parkrun. Her determination to get the trainers is stronger than her resolve against junior parkrun which is lucky as otherwise I’d be on to a loser. The girl will not be budged! I can’t imagine where she gets it from. Well she now has the shoes. 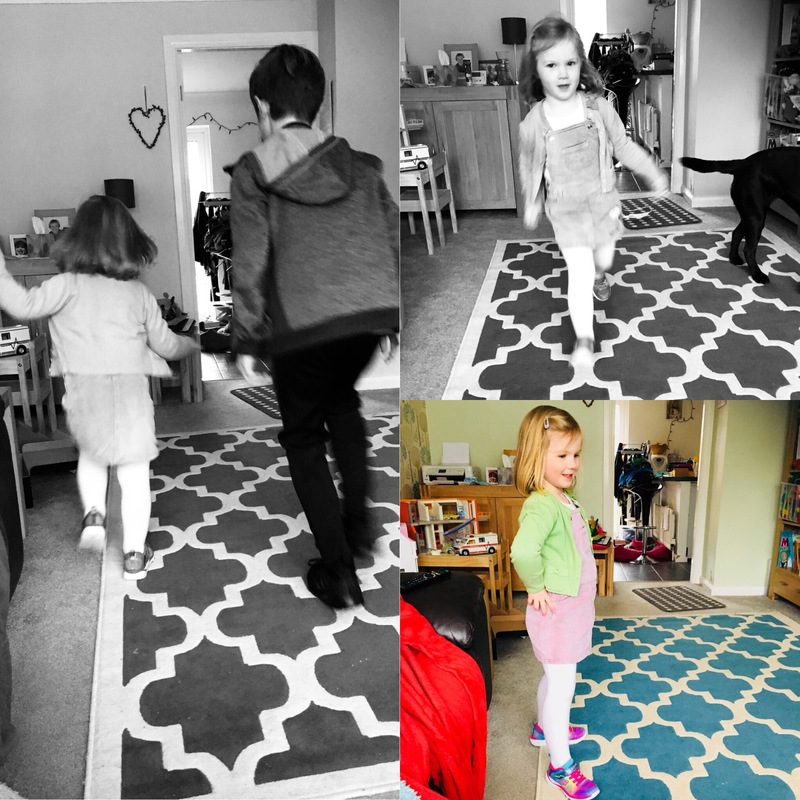 And she bullied her brother into playing ‘parkrun’ in the house. Haha! His mum makes him do the real thing and then his little sister makes him run a pretend parkrun indoors. Classic! She’s still pretty adamant that she will never do a proper junior parkrun, but we’ll see…what do you think? I’ll let you know. It could be the start of a lot of fun and a lot of PBs! Wonderful post! 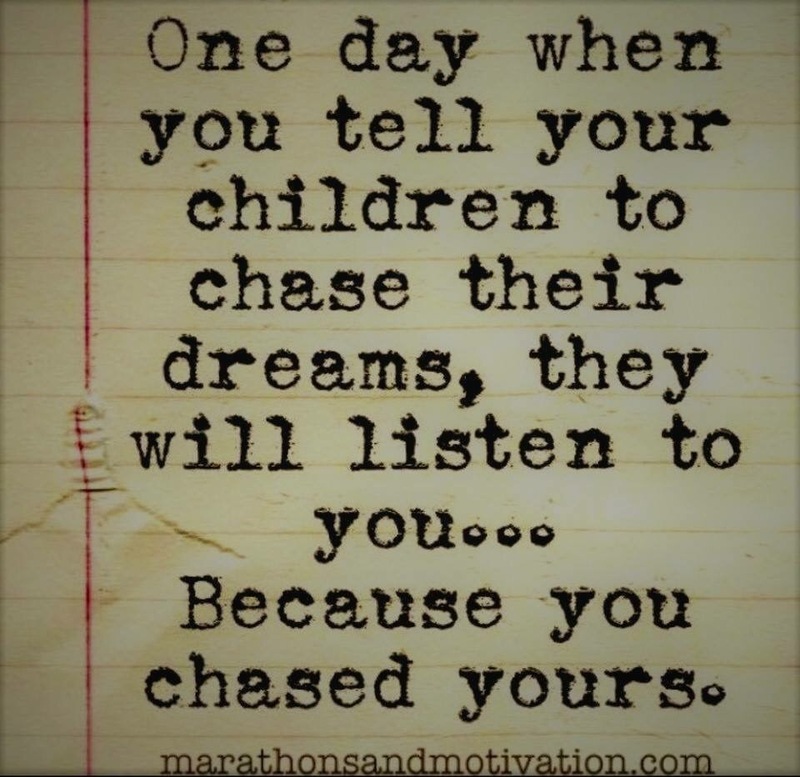 I saw yours after writing mine about the junior parkrun just now.